Question: When will I be notified of my place on the waiting list? You will be notified via the US Postal Service at the address on your application within 90 days of application to inform you of your waiting list status. Question: If I am the first person in line, will I get a voucher before everyone else? No. The waiting list is based on preferences. You place on the waiting list will depend on your preferences, not the order in which your application was received. Question: How long before I get a voucher? Due to a number of factors, we cannot give a time frame for when vouchers will be issued. Question: Should I call the office to see when vouchers will be given out or where I am on the waiting list? No. Due to the high volume of applicants, call will only delay the process. You will receive a letter at your address on record when we have reached your name for determining eligibility. Question: Do I need to report changes in my address, income, preference and family compositions? Yes. Make sure to notify DHA in writing within 10 days of your change so we can update your file with the correct information in order to determine your place on the waiting list and so we can contact you for eligibility when the time comes. How long will my waiting time be? Waiting time differs for each applicant and is based on date/time of application, qualifying local preferences, and bedroom size. You will be sent a Preliminary Eligibility Letter within 10 business days of receipt of your application that states your estimated waiting time for placement. This time frame is all that we can go by. Once your name is reached on the waiting list, you will be notified via US Mail. Can I call the office to check on my status? Yes, however we cannot give out an updated waiting time. We can tell you if you are on the waiting list, the date/time that you applied, and what bedroom size you were approved for. We can only ask that you reference your Preliminary Eligibility Letter for your estimated waiting time. Yes. The Public Housing Program requires you to move from where you are currently living into one of our managed units. Landlords cannot “accept” or “take” Public Housing. We have a number of apartment complexes and a few scattered home sites around the City of Fort Wayne.  You can indicate a preferred location once you are called in for orientation. Your preferences will be considered, but are not guaranteed. Do I need to report any changes in my address, income, preferences, or family composition? Yes. 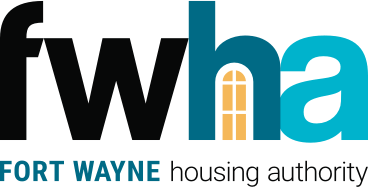 You are required to notify the Fort Wayne Housing Authority IN WRITING within 10 days of your change so that we can update your file with the correct information in order to re-determine your place on the waiting list. Failure to update your changes within the specified time frame could result in removal from the waiting list. Please be advised that changing your address with the US Postal Service DOES NOT update your address with us and your mail WILL NOT be forwarded. If any correspondence to you is returned to us by the US Postal Service, your name WILL BE REMOVED from the waiting list.